911 Restoration Seattle wants to help the homeowners in Kirkland keep their homes safe, comfortable, and beautiful through our water damage repair and restoration services. Even the worst kinds of water disasters like storm damage are no match for the professional services provided by our licensed, insured, and bonded specialists. Our experts know how taxing these times can be for people, and this is why we make sure to walk out clients through every phase of the job. We also know that the best way to mitigate the losses during these times is to get to the site quickly. 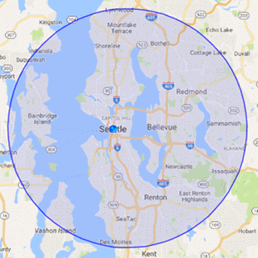 To do that our water damage Kirkland team will be at the site of your situation within 45 minutes to start work. Additionally, our experts know that accidents happen at all hours of the day and night and to prevent losses from escalating during these times, we are available 24/7/365 to take on anything whenever it occurs. We know that emergencies can occur even in the dead of night. That’s why 911 Restoration is available 24/7/365 so you can get the help you need on the day that you need it. Once a roof leak or pipe burst is detected within your home, you should call the professionals from 911 Restoration right away. We’re prepared to provide you with the assistance you need and work to keep your home safe and comfortable. Keep an eye out for any of the warning signs like brown stains on the ceiling, rust or cracks on the pipes, and low pressure faucets. Being able to detect these issues early on can help prevent problems like wood rot, drywall flooding, and mold growth. Inspect your roof for any signs of damage. Missing, curling, or buckling shingles are clear indicators of roof damage and need to be addressed as soon as possible to prevent leaks. Keep your gutters clean and free of debris. Regularly cleaning the gutters allows rainwater to flow unobstructed which also helps in preventing water from seeping into the roof or the foundation of your home. Inspect and maintain water-based appliances like the washer with regularity. Check the hoses and connectors for any signs of wear and tear to prevent bursting or leaking. When you’re facing water issues like roof leaks, pipe bursts, and flooding, you can count on our water damage Kirkland pros to provide you with best solutions. When you’re in need of a fresh start, 911 Restoration is here to lend you a hand. We have over 35 years of experience in helping homeowners deal with a wide array of water problems. 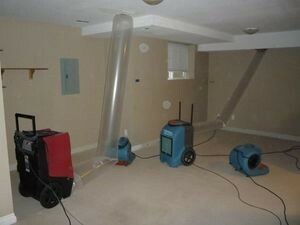 We will be using advanced drying technology that can effectively extract water and moisture out of your home. We will also work with your insurance company to help you file your claim and to provide you with the most affordable price for the services that your home needs. When you need a leak patched up, we know that time is of the essence so you can expect a lighting fast response time of within 45 minutes response time so your home can get back in shape in no time. Our water damage repair and restoration services aim to provide you and your home with a fresh start. When you leave the water damage repairs and restorations to our team, you can rest assured that your home is in good hands. If your property is already taking on flood waters, then contact our water damage restoration Kirkland team with 911 Restoration Seattle for all the help you need today!